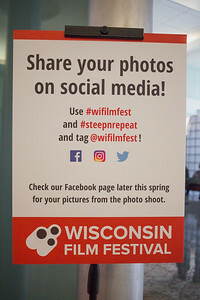 To kick off the 20th Annual Wisconsin Film Festival (April 5-12), we returned to the renovated and revitalized Wisconsin Union Theater – Shannon Hall, Memorial Union on Thursday, April 5, 2018 for the Opening Night Celebration, an evening in which we scaled the heights in a bid to reach peak movie-going merriment. 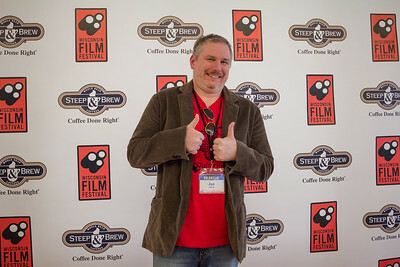 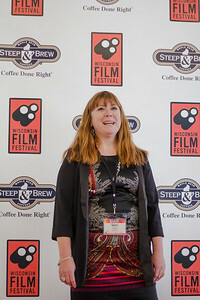 The Celebration started in the Sunset Lounge with a catered reception and the opportunity to pose on our "Steep and Repeat," then moved to Shannon Hall for the Golden Badger Awards presentation and our Opening Night program, "Mountain." 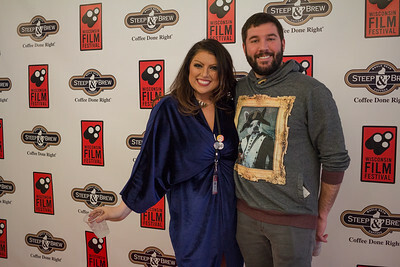 After the films, we hustled down the hall to Der Rathskeller with us for a freewheeling disco dance party with local favorites, VO5. 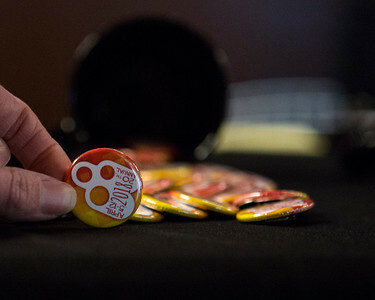 The prize #button-gluttons have been waiting a year for. 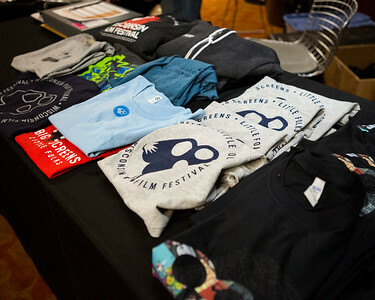 The history of a 20-year fest, as told in t-shirts. 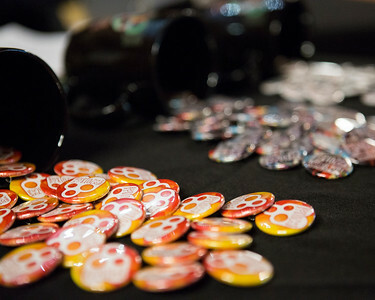 We have how many designs to choose from this year??? 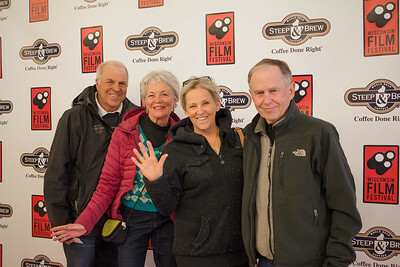 Step in front of the Steep-n-Repeat and strike a pose! 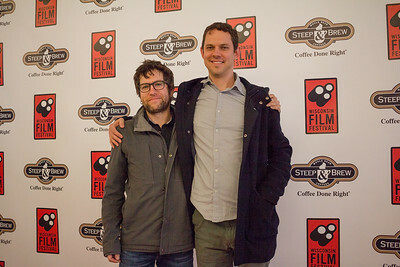 Jake Wood of Wildwood Productions (l) and friend, as captured by photographer Liang Jing Zeng (r). 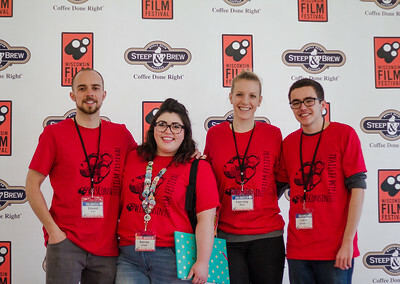 Volunteers (l-r) Edward Kunz, Katrina Simyab, Courtney Miller and Connor Glasbrenner. 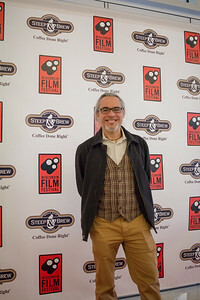 Alberto Cordero celebrates the opening of the 2018 Wisconsin Film Festival. 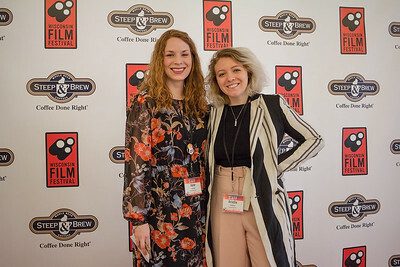 Digital Marketing Specialist Kate Lochner (l) and Digital Marketing Assistant Arielle Bordow. 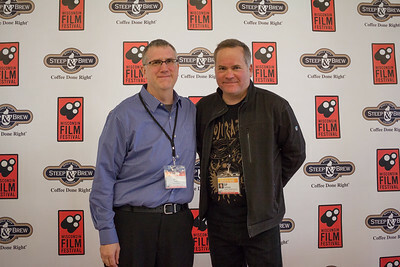 Financial Specialist Adriane Melchert (l) and friend. 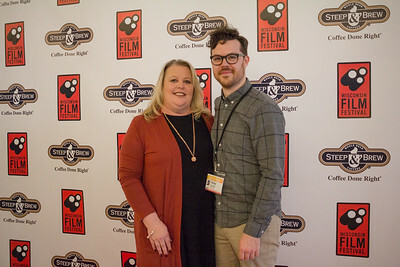 Kimberley Glass (star of GREAT LIGHT) and her son Tony Oswald (director of GREAT LIGHT). 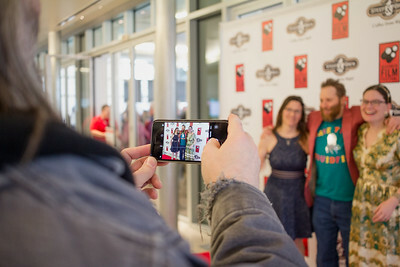 Patrons, filmmakers, volunteers and staff celebrate the opening of the 2018 Wisconsin Film Festival. 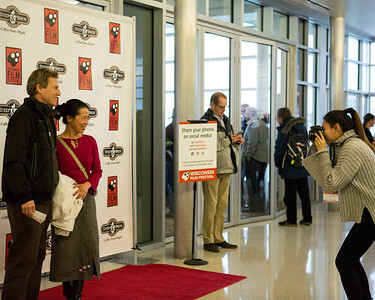 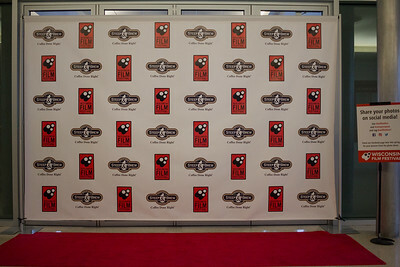 Patrons celebrate the opening of the 2018 Wisconsin Film Festival. 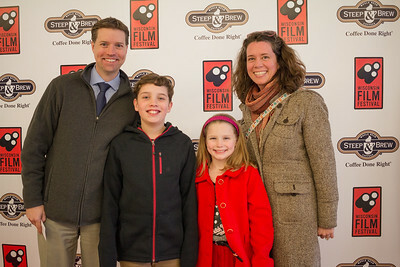 Children's Theatre of Madison Executive Director Allen Ebert (l) and his family: son Grayson, daughter Caden and wife Karen. 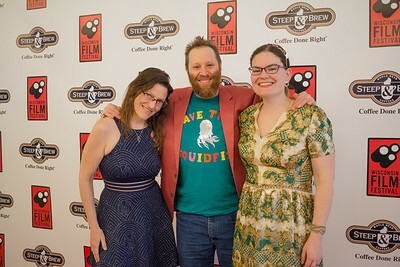 John May (center - director, THE LAST SQUIDFISH) and friends celebrate the opening of the 2018 Wisconsin Film Festival. 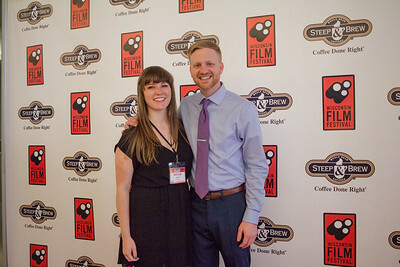 Festival Operations Coordinator Mallory Murphy (l) and her fiancé Eric Spray. 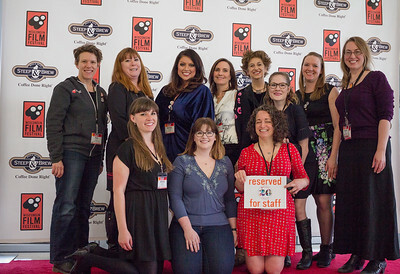 Filmmakers celebrate the opening of the 2018 Wisconsin Film Festival.